Hoping to ameliorate the cycling infrastructure at the University, Miles Hirozawa ’17 and Sonia Max ’17 have worked tirelessly with the University to install a bike repair station outside Usdan on the side of Boger Hall. Max highlighted the importance of facilitating biking on campus. 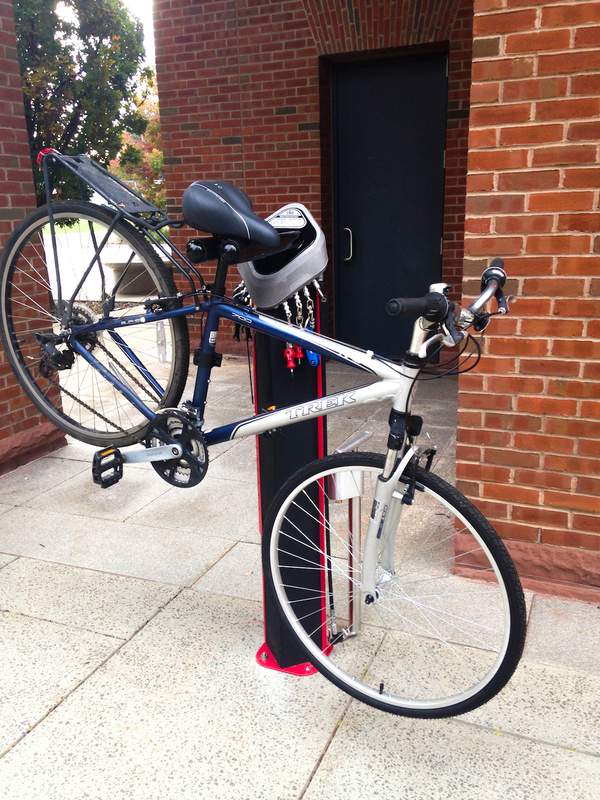 Nate Johnson ’17 explained why he opts to use a bicycle as a method of transit on campus. The plan to create a bike station began last spring, when the Green Fund announced that it would be sponsoring certain projects on campus. The repair station is located outdoors, and there will not be any restrictions on service hours. In terms of the actual building, Hirozawa and Max were on top of the project and reached out to Physical Plant last semester. Hirozawa spoke to how the bike station will promote an essential mode of transportation at the University. According to Max, those looking for guidance at the repair station can scan a QR code with an iPhone to pull up a manual which explains how to use all the tools. However, in the future, there may be more help available to students interested in learning more about repairing their bikes. Hirozawa believes that students respond to their environment and that the bike stand will positively alter the University’s environment. Furthermore, over the past few years, Hirozawa observed that students often post public messages on WesAdmits seeking bicycle tools and pumps. Hirozawa believes that the repair station will usher in an era of biking for the campus. Despite there being clear benefits to implementing a bike repair station, Johnson is not convinced that it will increase the amount of riders on campus.